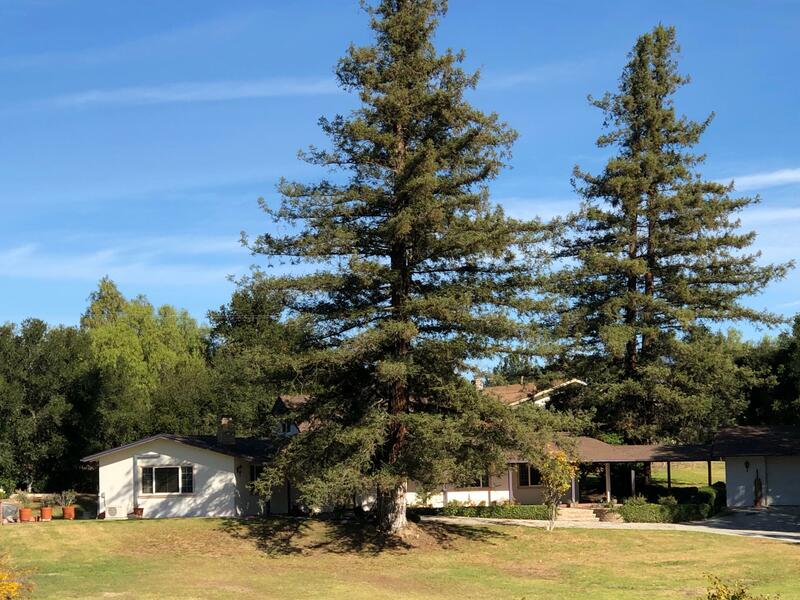 Located in beautiful Skyline Park in Santa Ynez on a secluded approximately one acre parcel at the end of Glengary Road. You will find this classic ranch and farm home with a huge yard, mature trees, barn, spa, and garden area. Inside you will find the cozy living room with a fireplace, an updated kitchen with dining area, a large master bedroom with walk-in closet, bathroom and fireplace, another downstairs bedroom with a full bathroom, laundry room, and an upstairs bedroom with its own bathroom. The detached two car garage is easily accessible to the home and you will find extra parking for vehicles in the large parking driveway area. The sprawling front grassy lawn leads you to the red barn suitable for horses or 4-H projects and storage of RV's. Private water and roads. Directions to Property: Refugio Rd to Glengary Rd to end on left up the driveway behind the tennis court.